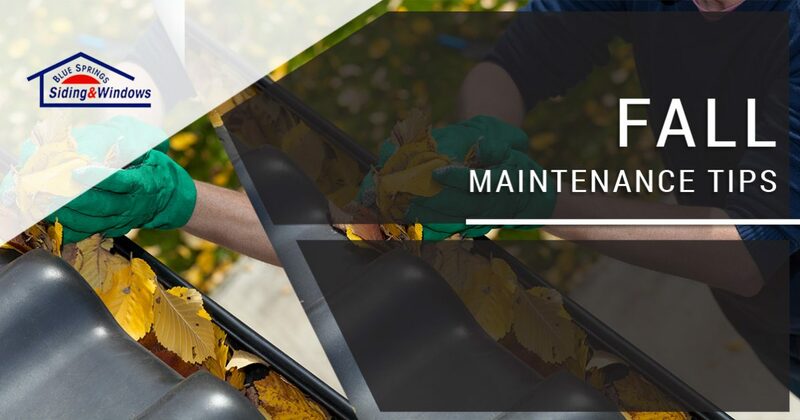 It’s officially fall, and if you’re like most homeowners in the Kansas City area, then you’re probably making your fall maintenance checklist and crossing tasks off left and right. We don’t want you to forget any of the essentials, so in today’s post, we’ll provide you with a few tips that will help you prepare your home for fall. When you’ve finished reading this post, come by our showroom or give us a call at 816-629-6270 to learn more about what we can do for you and your home. 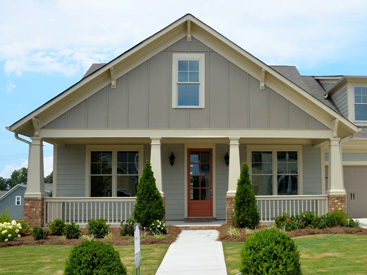 Blue Springs Siding and Windows proudly provides a number of home improvement services, including siding installations, window installations, and door replacements. We look forward to speaking with you soon! Fall is the perfect time to have a professional inspect the trees around your home. Trees are now entering their dormant period, which is the ideal time to trim any dead branches that may be putting the entire organism at risk of disease. Keep an eye on your trees as they begin to shed their leaves, as their color and the speed at which the leaves drop can be a reliable indication of the trees’ health. 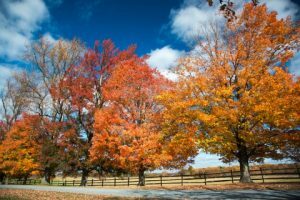 You’ll want to wait until spring to plant any new trees, but fall is the ideal time to ensure that your trees are at their healthiest when they begin to grow again. There’s nothing quite like a lawn full of brightly colored orange and yellow leaves. It’s the quintessential fall look, and if your home is blanketed in fall colors, you’re probably going to find yourself wanting to make some coffee and read your favorite book instead of raking your yard. However, you don’t want dead leaves to become covered in snow and negatively impact the health of your lawn, so try to find a convenient time to rake up the leaves after they’ve all fallen. You can make it a family affair if you have young children, and raking up the yard as a family might even become your favorite new tradition! With the temperatures dropping lower and lower every day, you’re probably thinking about when you’ll turn off your air conditioning unit and begin to use your heater. 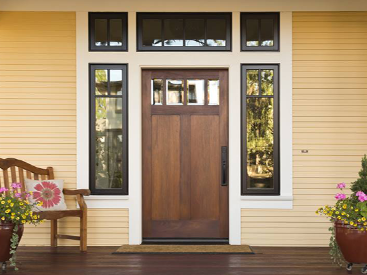 That day will come sooner than you think, so take this opportunity to inspect your windows for any cracks or areas where the seal has become defective. You don’t want a draft to allow cold air to fill your home, and you certainly don’t want to be paying an inordinate amount of money each month when your heating bill arrives. 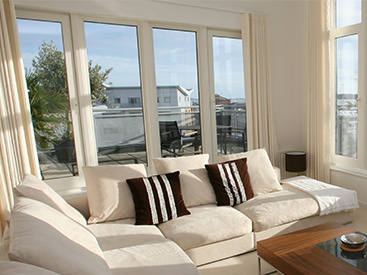 In fact, a window installation is often cheaper than paying for high heating bills in the long run. 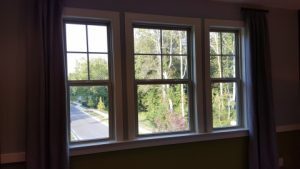 If you find that your windows are in less-than-optimal condition, then give the window installation experts at Blue Springs Siding and Windows a call. We have a great selection of replacement windows, and we back each of our windows and any labor involved with a lifetime guarantee. There’s nothing quite like having a new window to look out of as the snow begins to fall, so take this opportunity to purchase the replacement windows you’ve been thinking about all year. We hope that this post will help you maintain your home as the fall progresses into winter. If you would like to learn more about any of the services discussed in this post, then please get in touch with us by filling out the form at the bottom of this page! We’ll happily provide you with information about our gutter guards, siding installations, or our fantastic replacement windows. We have something for every taste and budget, and we know that you’ll find the perfect product for your home.